East Anglian Daily Times report school dig but get the wrong school!!! How disappointing that the EA Daily Times made some blunders in their report of the school dig of the village green on 21 st May.The school children were from our own village school – St.Edmund’s Primary School ,Hoxne – not from a catholic school in Bury st Edmund’s! As an important part of the project is in involving local community it rather defeats the object in involving a school from 30 miles away,doesn’t it? 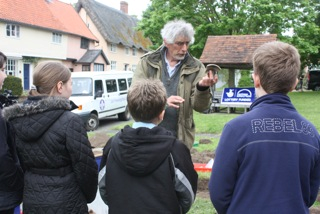 On May 21st children from St.Edmund’s Primary School, Hoxne excavated two test pits on the village green under direction and supervision of Duncan Allan, outreach archaeologist from SCC.The event was funded by the Hoxne Heritage Group as part of the ‘Story of Hoxne’ project which was funded originally by the Heritage Lottery Fund’s All Our Stories programme. The aims of the project are to research the origins, development and continuity of settlement in Hoxne and also to inspire our children to learn about, and take ownership of their heritage to safeguard it for future generations. 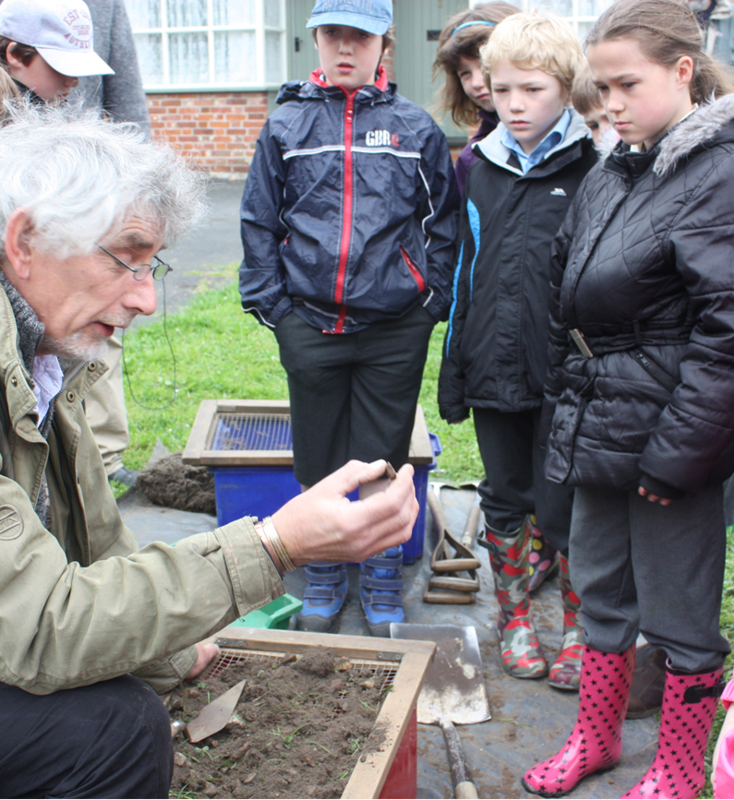 The children unearthed a rich variety of artefacts including C14th glass, glazed medieval pottery, animal bones and teeth, a Victorian button and much more yet to be identified. The village green was the site of a weekly market as long ago as 1066 and in C18th cattle fairs were held there ,with cattle coming from as far away as Scotland. The evidence found today was in concordance with our expectations. The excitement and enthusiasm was almost tangible and many of the children are now pressing their parents to participate in the main community dig around the village which will take place between July 6th – 8th.